Alexis E. Jackson is a young professional emerging into the publishing world. Beginning as a contributor to her high school newspaper, Alexis now reads more than she sleeps, writing poetry and quirky book reviews on Goodreads—a giveaway hunter, too! Some recently read titles include Americanah by Chimamanda Ngozi Adiche, Roxane Gay’s Bad Feminist, and Nicola Yoon’s Everything, Everything. Alexis likes to read anything that bends genres, surprises, and pokes holes in the comfort zones of society. 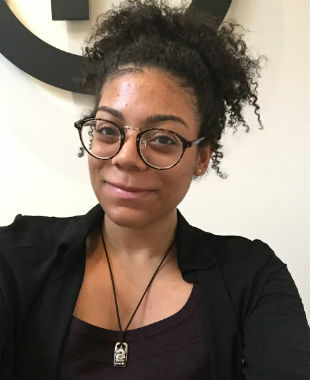 An aspiring editor with a Bachelors in English and a love for manuscript editing, Alexis hopes to make a mark in this industry by embracing writers who bring forth diversity, both culturally and socially. Share your book recommendation with her in the comments section below. Tell us how much you like Alexis E. Jackson. When Minorities Lead in America: A Black Theologian’s Political Journey by Herman J. Fountain Jr.